Since 1945, the amount of beehives has been reduced twice in today’s Western World. This is caused by changes in agriculture. Over the years, farmers have chosen to use manure over lucerne or clover. Especially clover is an important source of food for bees. In addition to that, farmers have been using weed killers more and more since 1945. These weedkillers not only kill weed, but also flowering plants. 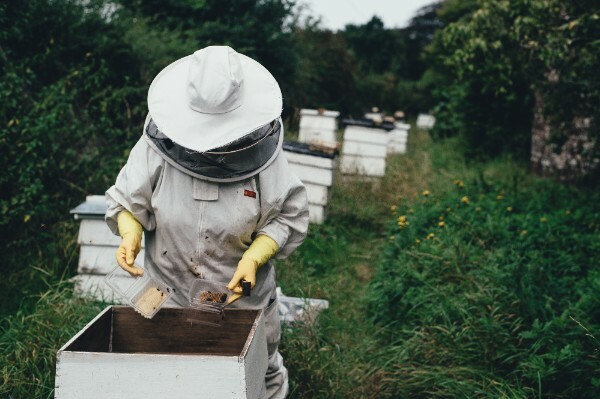 Another important factor why bees are struggling to survive in the world of today is because farmers started to cultivate monocultures that cover a huge amount of agriculture area. Back in the days, bees had many options to feed and pollinate, but now it seems more like a desert on earth to them. After the change in fertilizing the ground, using weedkillers and monocultures, the battle for bees is still not over. After World War II, farmers started to use pesticides on a large scale. They started to do this to minimize the damage to monocultures. After all, monocultures like lettuce or crops are a paradise on earth for many other insects. 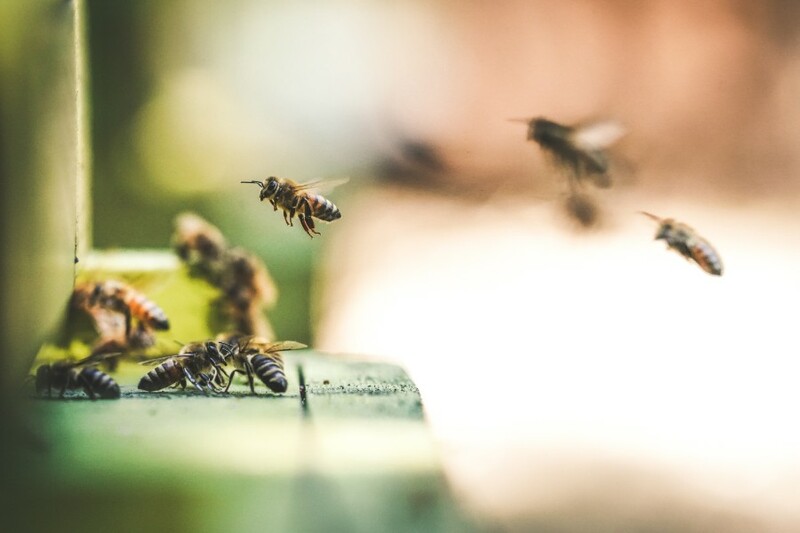 Researches from the Penn State University in the United States have discovered that every time a bee flies from flower to the bees hive to pollinate, it takes an average of six detectable pesticides with it. One of the most common types of pesticide is Neonicotinoids. This type spreads itself all over the plant. However, in most cases, only the seed of the plant is sprayed with the pesticide. This causes a lower level of nectar and pollen in a plant. Because most bees don’t get in direct contact with the seed, they don’t receive a high dose of insecticide. However, a low dose can cause a disorienting effect and that causes that bees sometimes don’t find their way back to the hive. As if all these difficulties a bee has to face aren’t enough, it also has to face their biggest enemy; Varroa Destructor. This is a blood-sucking parasite that lives on many plants and flowers. It harms the immune system of the bee when attached and spreads diseases. Although we as humans find ourselves superior, we are actually not. Bees have never needed us and therefore, humans are more a problem to them than helpful. The Beekeeper is the final threat that a bee has to face, but this one can be changed easily. The Beekeeper should work as the ‘guardian’ of the bees, not the master. This is luckily the way many organic farms work. What if the bee is to be extinct? Various media have been saying that humans will also die if the bee dies, inspired by the theory of Albert Einstein. He stated this many years ago, but wasn’t taken too seriously because as a physicist he talked outside his field of knowledge. Nevertheless, the number of bees is decreasing in many European countries. Although exact numbers are hard to find, according to Wageningen University, the amount of bees is as low as it can be in order to survive. The further decrease will have problematic effects. The pollination of food crops is in danger, as this is done by bees. Over the past few years, mainly bees received a lot of attention in the media. If the bee will disappear, so will seventy percent of the trade in vegetables and plants. This will cause an enormous worldwide economic crisis. Research by the German scientist Alexandra-Maria Klein has shown that of the 115 most important food crops, 87 are pollinated by insects and 28 are not. Some crops, such as corn, rye, oats and spinach are pollinated by the wind and do not require insects other animals (e.g. birds). If bees won’t longer provide for pollination, the first type of food that will disappear will be most likely strawberries. Although they get pollinated by bumblebees as well as other wild bees or hoverflies, the number of strawberries will decrease tremendously. As humans of today have found many smart technological solutions for almost everything, there will be most likely something to replace this problem as well. Nevertheless, it doesn’t take away that the variation of food will decrease. According to Wageningen University, ten percent of our world food production will be lost if bees are going to be extinct. Also, the amount of variation in our food will decrease. Another problematic factor is that insects like bees help spread vitamins and minerals in our food, so if they extinct we as humans will lack many vitamins and minerals. 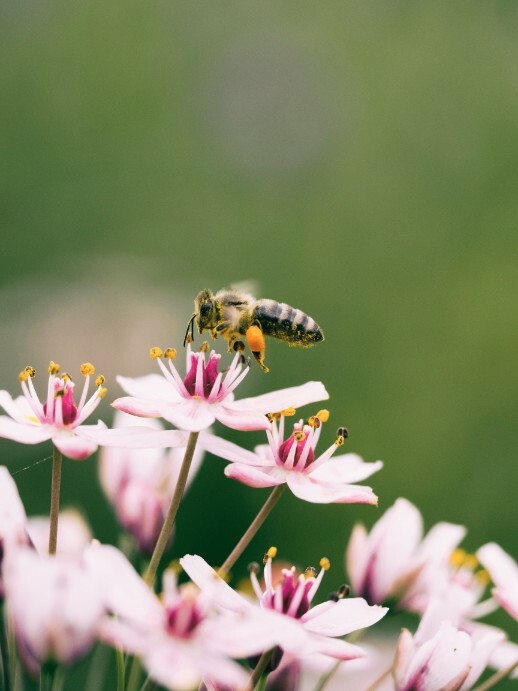 Although 76 percent of the crops in the world are pollination by insects like the bee, it is not so much if you put it into perspective. Sixty percent of our food comes from crops that do not depend on pollinators. Think of rice, pasta, potatoes, corn, and wheat. In addition to that, only thirteen percent of crops fully depend on animal pollinators. Another important factor in our food production is that many greenhouse vegetables do not depend on pollination by honeybees. Most of the time, bumblebees are also doing the job. Nevertheless, also bumblebees are in the threat of extinction. The threats that bees are facing will affect all types of bees and other animals that cause pollination. The answer to the question ‘if the bee goes extinct, are we also to be extinct?’, would be no. Would this be a complete world disaster? Yes. 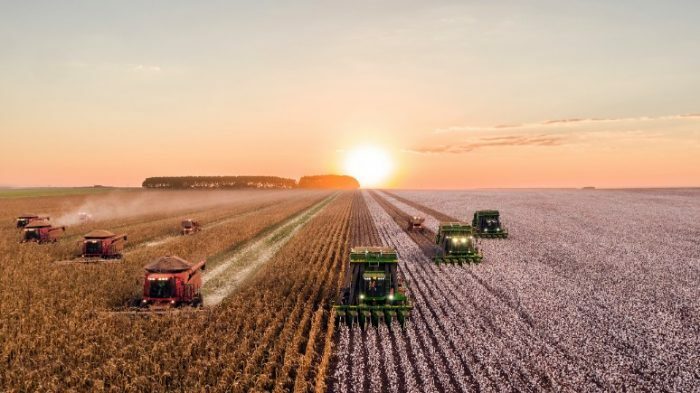 If the bee is to extinct and worldwide food production will be reduced by ten percent, it will cause even more scarcity in places where there is already limited food access. Also in rich countries, it will cause poverty and financial issues. Moreover, food that doesn’t depend on pollination, like rice and grain will be still produced. However, this might be the only option to eat in the long term, since the variation of food will decrease immensely if the bee is to be extinct.